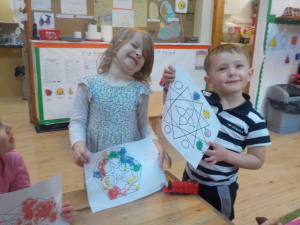 The children made Rangoli patterns from a choice of five designs, using colourful rice. They looked at some books about Diwali and watched a short video. During circle time, they lit real tea light candles and talked about safety around fire and fireworks.